The versatility and flexibility of Psychological Operations make it a combat multiplier and weapons system available to the maneuver commander. In order to accomplish their mission PSYOP utilizes special equipment which facilitate the development of various media (e.g newspaper, posters, pamphlets, handbills, television, internet, radio and loudspeakers). This article is intended to give the viewer an insight to this unique equipment utilized by PSYOP personnel. Defense Secretary Robert M. Gates looks over Psychological Operations leaflets while touring the 4th Psychological Operations Group on Fort Bragg, N.C., Oct. 23, 2008. I am so envious. Whenever I was at Ft. Bragg and could visit the Product Development Center it was always a pleasure. They had a table of products that you could sample. If you love leaflets you wanted to fill your pockets like a child in a candy store. I would use great discipline and just take one of each of the samples displayed. The selection placed on the table for Defense Secretary Robert M. Gates is interesting. I notice some very early Operation Enduring Freedom leaflets for Afghanistan, some that go back to 2002 and 2003 when Osama bin Laden was still alive. The 1LT Michael A. Merkel Media Operations Center at Fort Bragg supplies the Joint PSYOP Task Force (JPOTF) with a higher quality and larger quantity of PSYOP products than what can be produced with deployable PSYOP assets. For example, the deployable print production center in theater consists of a Risograph printer, which is a two-tone printer capable of printing 93,000 copies a day. In contrast, the Media Production Center's (MPC) four Heidelberg print press machines can print 1,188,000 copies an hour. 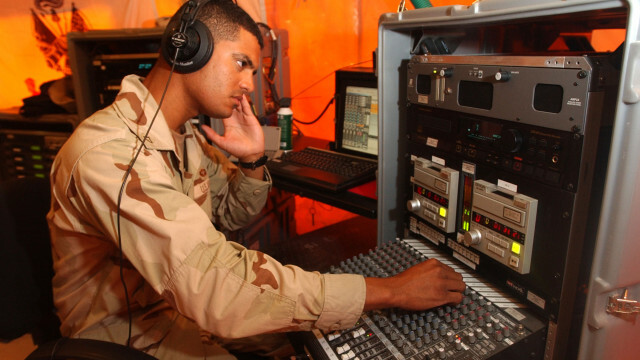 The center has the capability of producing audio, video, and print products for broadcast and dissemination in combatant regions. The products are provided through satellite communications (up-linking) or by shipment to theater. record and broadcast video through the use of a satellite link or Commando Solo or can be placed in a SOMS-B. The Heavy Print Facility (HPF) is a large nondeployable system consisting of four Heidelberg Quickmaster Direct Image Digital Presses. Each press is capable of print speeds up to 10,000 sheets per hour and the HPF can produce 800,000 four-color, two-sided leaflets in a 24-hour period. The quality of work that these presses produce is comparable to the newspaper and film image-setting industries. The Heidelberg presses are organic to the 4th POG (A), Fort Bragg, North Carolina. 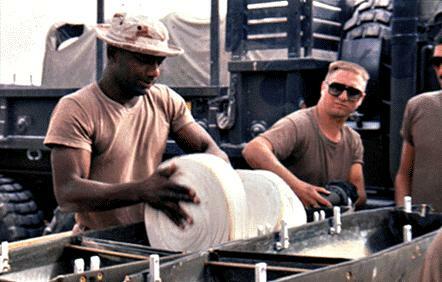 Print personnel assigned to the HPF are trained in product layout and formatting, limited press repair, and are capable of producing multicolor products of various sizes, such as business-card-sized hotline tips cards, leaflets, posters, handbills, books, magazines, and tabloid newspapers.  The facilitys darkroom, layout, and plate-making section supports four large Heidelberg presses.  The binding section is equipped with a paper folder, collator, paper drill, stitches, and cutters used to produce booklets, brochures, and PSYOP studies. 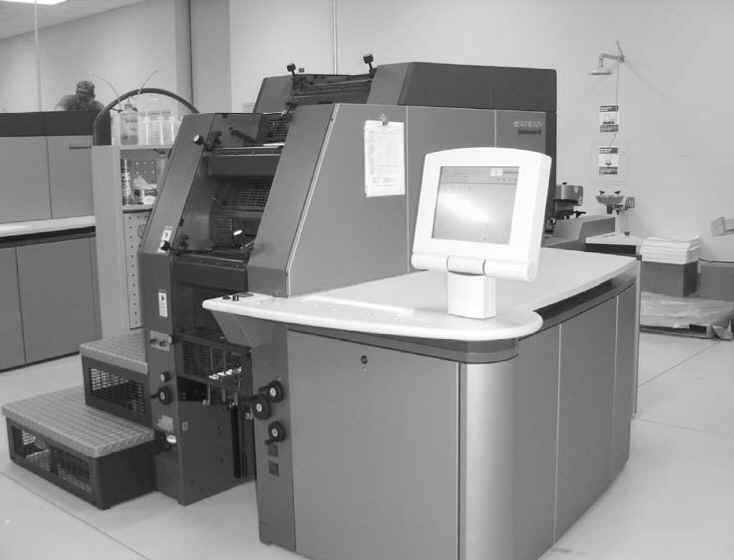  Each press can produce up to 8,333 single-color (or up to four-color, single- or doublesided) leaflets per hour. 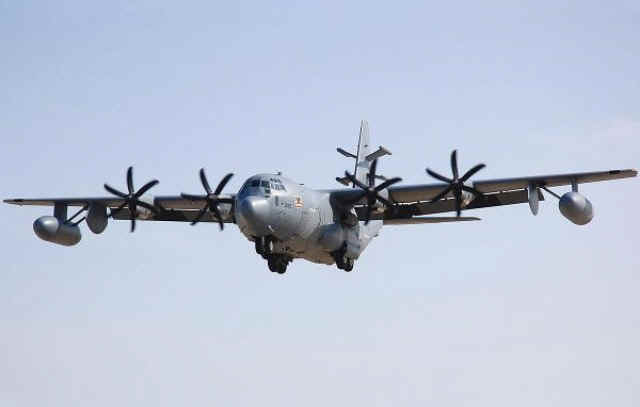 EC130J Commando Solo aircraft flies orbits suitable for broadcasting audio and video PSYOP products. Like the SOMSB, the Commando Solo uses the DAPS to create and broadcast content. Each of the C-130 cargo planes has been converted to flying radio and television stations, capable of preempting a country's normal programming and replacing it with whatever informational broadcast that is felt necessary to get the message through to the listening audience. "Electrons not bullets" is the motto of the 193rd Special Operations Wing of Harrisburg, PA which fly the EC-130s "Command Solo" flying PSYOP platforms. The 193rd usually receive their mission taskings from the state department, who have identified a "problem area" requiring the use of these specially equipped aircraft. The U.S. Army's 4th Psychological Operations Group (Airborne) at Fort Bragg, North Carolina, the only active duty component psychological operations unit is then tasked to develop and produce messages for broadcasts. These messages are then reviewed and approved by the State Department before delivery to the 193rd Special Operations Wing. 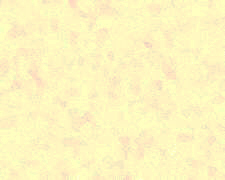 If the decision is for the message to be broadcast live ( which is preferable to allow for adjustments/ modifications to the message based on late breaking news) rather than by tape message, a linguist from the 4th PSYOP Group will accompany the 193rd to broadcast the message in the native tongue of the target audience. Once airborne, the mission control chief and five electronic communications systems operators occupy their search, medium and high frequency, very high frequency, and ultra-high frequency monitoring positions in the mission compartment. 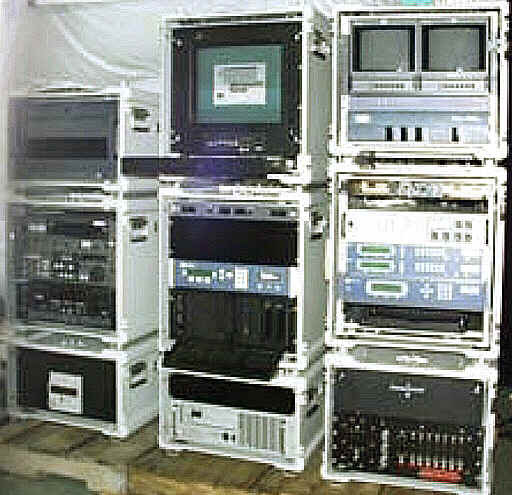 The compartment has cassette and reel-to-reel audio recorders, a video recorder, television monitors, receivers, noise modulators, transmitters and a live microphone. The mission control chief, together with the theater commander's planning staff, plans where the orbit areas will be set up to ensure the best reception signal to and from the target audience. Rather than try to overpower an existing signal, the crew of the EC-130 will normally broadcast on an open frequency. The search operator monitors radio and television frequencies to find one that is clear of other broadcasts and is within the range of the target. 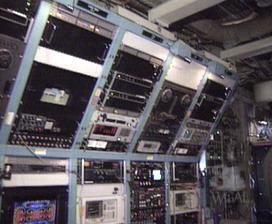 The operators then tune up transmitters inside the aircraft and corresponding antennae on the outside of the aircraft. Signals can be transmitted from either side of the aircraft, depending on the direction to the target. 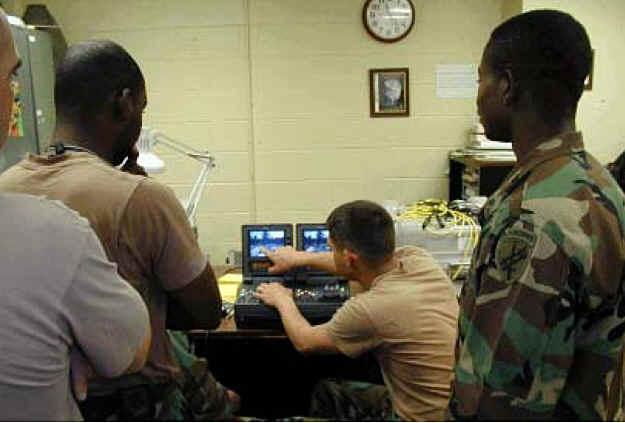 An electronics operator plays the message tape through a video or audio recorder to other operators who transmit the signal over the airway. The Commando Solo EC�130J aircraft flies orbits suitable for broadcaasting audio and video PSYOP products. 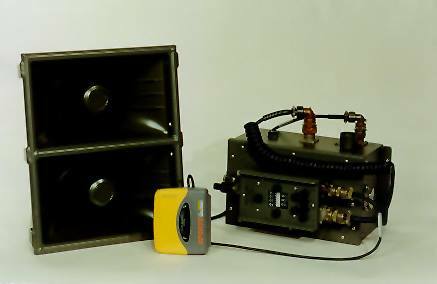 Like the Special Operations Media System Bravo (SOMSB) shown below, the Commando Solo uses the Deployable Audio Production System (DAPS0 to create and broadcast content. The Modular Print System is a compartmentalized, mobile print plant for in-theater production. It is generally deployed in a truck and trailer combination and uses heavy print press machines (HPPMs) to print multicolor products. Some HPPMs are used on board Navy ships (e.g. U.S.S. Constellation) as well. The Modular Print System contains three modules: A, B, and C. Module A contains printing equipment that is no longer used. Module B consists of two expandable shelters, each containing one Heidelberg GTOZP52 offset press that can print in two colors at one time or one color, front and back. The maximum paper dimensions for this system is 14 inches by 20 inches, with the largest product measuring 13 3/8 inches by 20 inches, allowing for marginal areas. Module C is also expandable and contains a large paper cutter, press plate marker, and a small light table. Modules B and C are capable of limited paper storage space when expanded.  Video: contains the production, editing, and duplication equipment necessary to produce and distribute broadcast-quality PSYOP video products. It also will be outfitted with electronic news gathering (ENG) kits and electronic field production equipment to allow incorporation of local, in-theater footage to enhance the effect of the video products. JITI systems located at Fort Bragg and in theater have two-way and one-way communication capability with Commando Solo aircraft and SOMSB systems in the field. PSYOP forces sent audio and video products to and from the theater with the system. 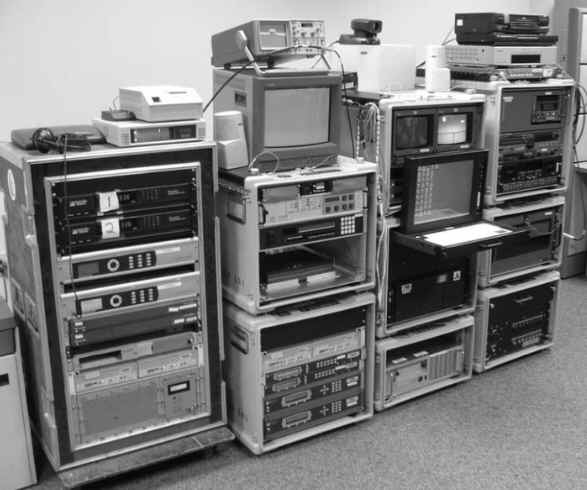 A recent addition to the inventory, the Production Distribution System (PDS), uses recently developed improved video compression techniques to transmit information between systems in theater and in CONUS while using significantly less bandwidth.  The RO is a lightweight flyaway system designed to receive audio, video, and data to include combinations of clear and encrypted broadcasts. It is a mission-scalable system allowing for flexibility in special circumstances to accommodate video and audio-only missions. The Deployable Print Production Center is similar to but smaller than a Modular Print System (MPS). It is an M1037 high-mobility multipurpose wheeled vehicle (HMMWV) -mounted/ transportable print system. The print system includes a Product Development Workstation (PDW)-Light, a high-speed digital duplicator (Risograph), an electric paper cutter, a generator, and an environmental conditioning unit, some of which is mounted on a trailer for transport. The PDW-Light is a system that provides forward-deployed units in the field limited PSYOP product development. It also provides users the capability to electronically transmit and receive PSYOP product files and related information via the product distribution system (PDS). The PDS is a commercial off-the-shelf satellite communications earth terminal, Moving Picture Experts Group-2 encoder workstation, and a Windows server used for secure and nonsecure product distribution. The PDS transmits products via commercial/military satellite transmissions Jiti and Cheetah), single-channel ground and airborne radio system radios, or through phone lines. 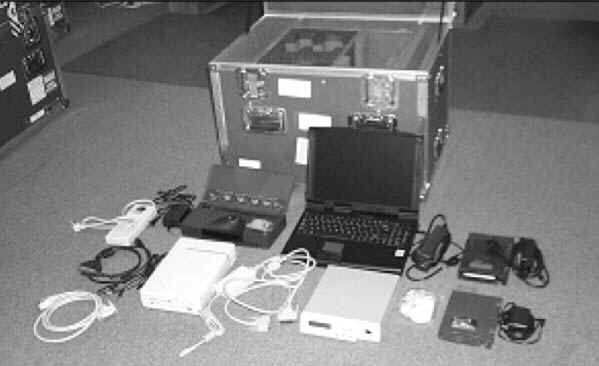 The system consists of a ruggedized laptop computer, removable hard drive, and printer. The PDW-Heavy is similar in concept to the PDWLight, but uses a desktop computer and color laser printer for increased printing quality. Both MPSs and DPPCs have to carry a gas generator to power the equipment. 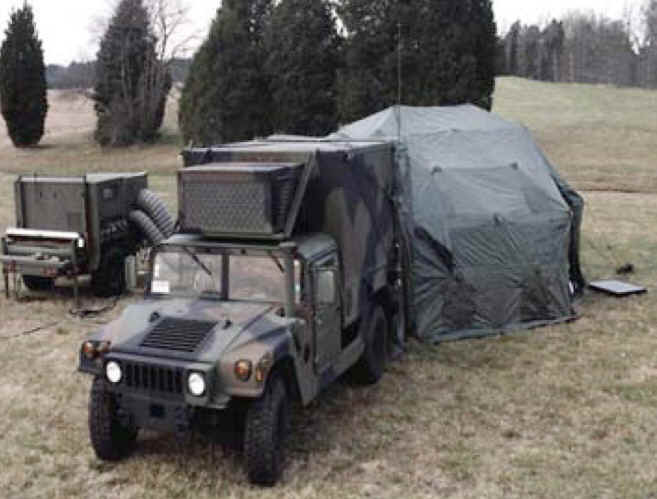  HMMWV-mounted transportable print system. 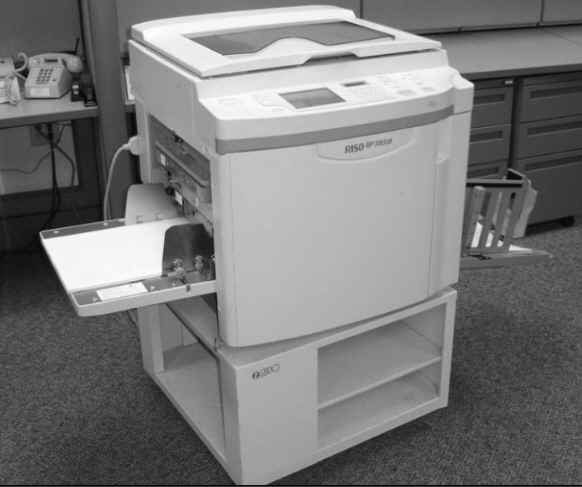 System includes dual 200MHz Pentium processors, with 128MB of RAM, scanner, and 600 dpi color laser printer. The Risograph is a deployable digital duplicator that combines the basic output speed of a small press (120 copies per minute) with the simplicity of a copier. It can produce up to 93,000 single-color leaflets in a 24-hour period. Although Risographs do not require connection to a computer, a direct connection to a computer does provide a better image quality and the ability to develop print products at the PDC or TPDD, and produces print materials farther forward, thus reducing distribution and dissemination time. Risographs are organic to some PSYOP units and are pre-positioned in many theaters of operations.  Includes a paper cutter. 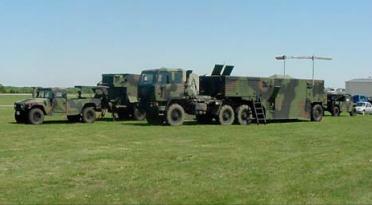 The SOMSB consists of four HMMWVs outfitted with radio and video broadcast equipment. In this configuration, the vehicles serve as broadcasting studios that can produce audio and video for events in theater through the use of its Deployable Audio Production System (DAPS). The SOMS-B can broadcast television over any known channel and/or transmit radio shows over AM, FM, high-frequency and shortwave bands. 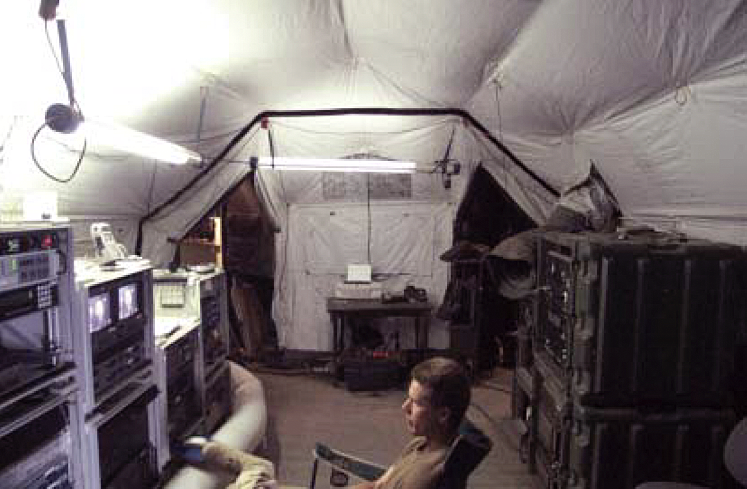 Inside the video production and editing tent of the SOMS-B complex at Kandahar, Afghanistan during a broadcast in support of Operation ENDURING FREEDOM. 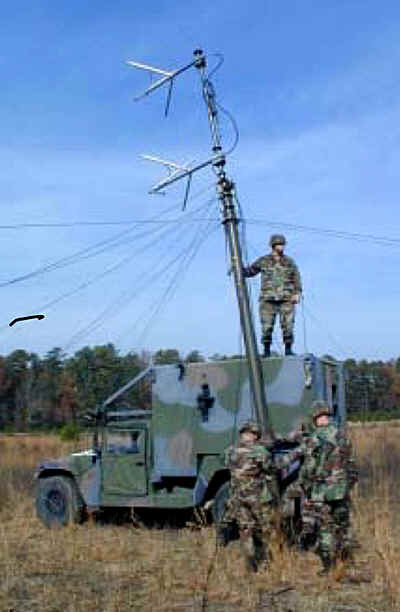 Soldiers erect the antenna of the Special Operations Media System-Broadcast (SOMS-B) capable of providing local radio and television support including editing of radio and audiovisual products. Wind Supported Aerial Delivery System (WSADS) is a powered parafoil UAV platform integrated with an airborne guidance unit and a payload dispensing system that can drop leaflets or other materials , will enable delivery of payloads to multiple areas flying as high as 18,000 feet for distances up to 800 miles and at speeds up to 35 miles per hour. 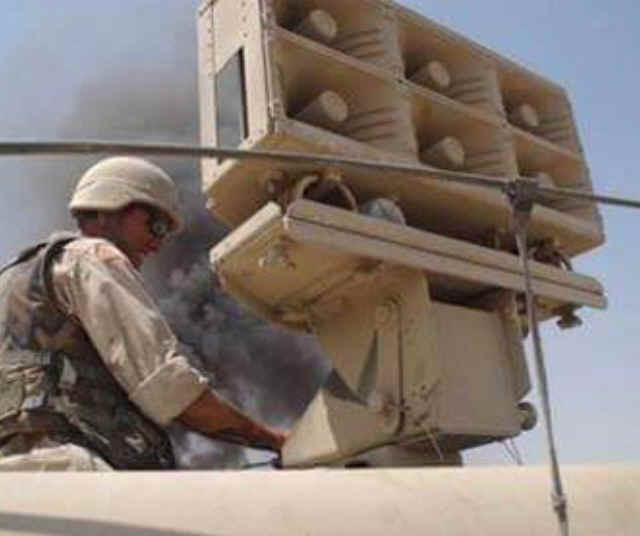 Tactical PSYOP forces have a set of vehicle-mounted loudspeakers from the family of loudspeakers systems that are designed to broadcast messages. This speaker system is also mounted on manpacks so that individual soldiers can play prerecorded PSYOP messages wherever they go. The majority of their recordings are on mini disc players that are connected to the loudspeakers. Tactical PSYOP groups also carry news gathering kits that consist of a digital camera and camcorder to gather information. In the future, tactical units should have more routine access to leaflet delivery systems that are able to fly over target areas and drop leaflets. These deployment systems can be bombs or remotely controlled Unmanned Aerial Vehicles (UAVs). Currently, not enough prototypes exist to be routinely supplied to tactical PSYOP units. Similarly, the units need video dissemination capabilities to present audiovisual messages directly to local audiences. 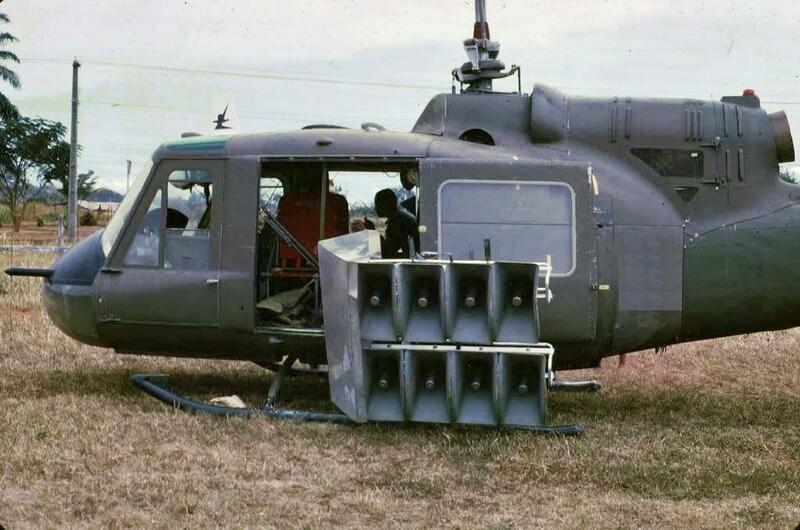 Tactical Loudspeakers remain the primary and most responsive dissemination tool for Tactical PSYOP Teams. Dismounted (manpacked) systems add diversity to the growing PSYOP equipment inventory. Missions may dictate dismounted operations. 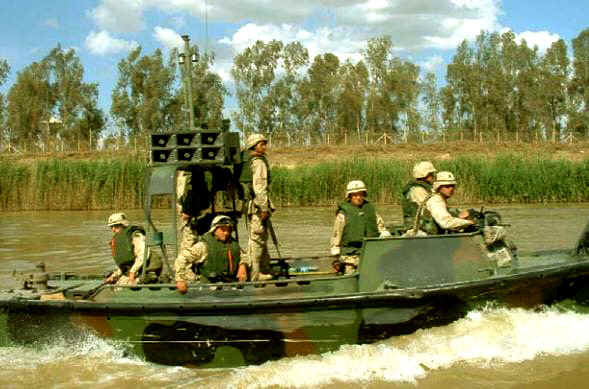 Dismounted systems can also be used for operations using vehicles and watercraft. 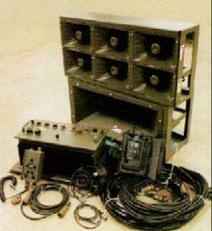 Dismounted systems output 250 or 350 watts, depending on the system used. Maximum range varies between 700 and 1500 meters, depending on the system used, terrain, and atmospheric conditions. All systems operate with rechargeable batteries and nonrechargeable lithium batteries (BA-5590). A dismounted TPT consists of one system and three personnel. 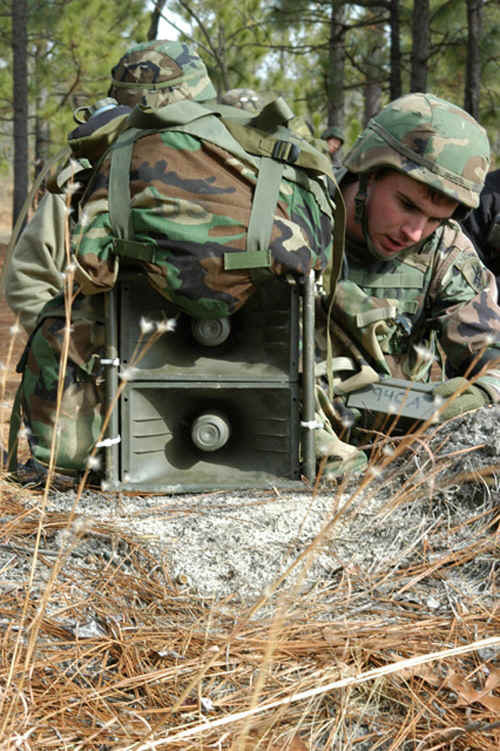 Although a team can operate light, with two personnel, this configuration greatly reduces the team's ability to conduct continuous, sustained operations. The loudspeaker mounted on a high mobility multipurpose wheeled vehicle (HMMWV) is the primary system and the workhorse o used by Tactical PSYOP Team (TPT)/Tactical PSYOP Detachment (TPD). It can also be used in deception operations. It has an output of 450 or 900 watts and a normal broadcast range of 1,000 to 1,800 meters. The system is normally operated by a three-man team and employed in the mounted mode. 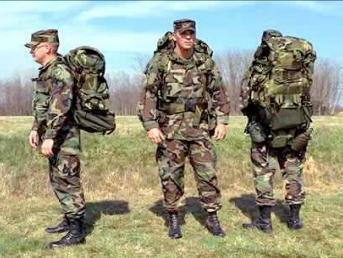 However, due to increased range and maneuverability requirements, the mission may require the team to operate dismounted using the backup manpacked units. 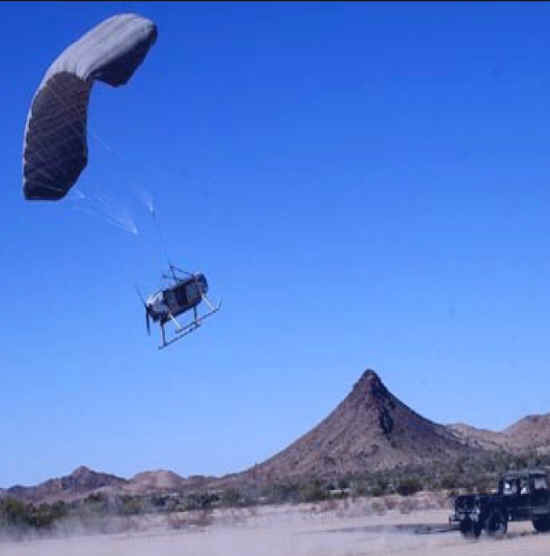 In addition to the HMMWV-mounted systems, limited numbers of helicopter-mounted systems are available in the active component. The airborne systems can output 2,100 or 2,700 watts. They can operate in either the UH-lH or UH-60 aircraft. Vehicle-mounted systems may also be used in rotary-wing aircraft, but range is limited due to difficulty in overcoming the sound of the aircraft. These systems can also be mounted in boats for waterborne operations. 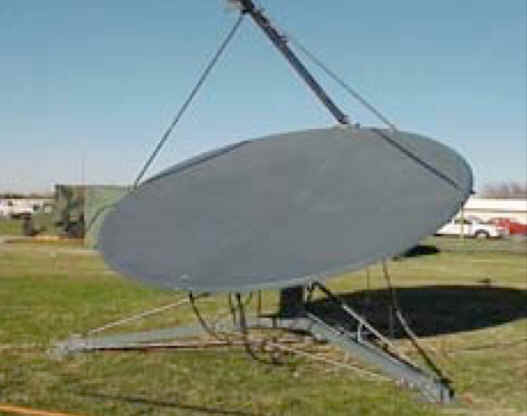 Cheetah is a portable telecommunications satellite dish used for voice communication and to transmit data -- including print materials and video -- to and from remote sites. The Cheetah comes standard in two airline checkable, wheeled hard cases capable of T1 data rates. It is a light-weight, completely auto-acquiring terminal with embedded iDirect or Linkway modem options. The Cheetah includes a fully auto-acquire 85cm parabolic antenna system, Outdoor Unit with embedded iDirect CX-751 or e850MP modem, 5W commercial Ka-Band BUC/SSPA, controller/processor and Ethernet switch. Antenna System case: less than 70 lb. RF System case: less than 70 lb. This has been a brief overview of the equipment inventory unique to Psychological Operations. Should the reader have additional information on equipment shown here, or information on new equipment not shown, are encouraged to write the author at Psywarrior@pipeline.com.